Some of the Places we're at! Cherry Picked Catering supply Fine dining, canapés, buffets and working lunches for some of the leading legal and financial companies in Bristol. “In our experience, you will not find a better team. They source quality local produce for every menu, which is tailored exactly to our requirements. They provide us with a seamless service combined with show stopping food. Cherry Tree Cafe is based opposite the New Children’s Hospital. Offering coffees, homemade tarts, quiches, cake, soups and plenty more simply makes Cherry Tree Cafe one of the best non chain Cafes in Bristol. Conrad is very proud of what we offer at Cherry Tree Cafe, there are really not a lot of places in Bristol where you can get such good quality homemade food created by professional chefs. We also cater for large seated functions for nearby businesses and training centres. 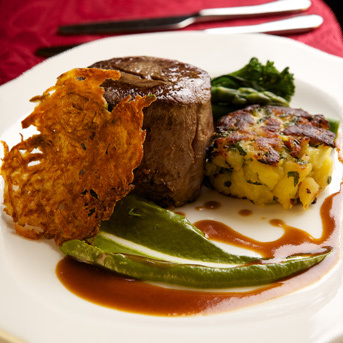 We provide restaurant style two-three course meals at exceptional value, and quality. Quite often our clients who are running the courses or seminars only have an hour allotted time for their meals. They know that Cherry Tree Cafe always delivers. Cherry Picked Catering are pleased to be associated with David Broome MBE and world champion equestrian rider. Cherry Picked Catering looks after the main catering site at the centre. This includes running the cafe, restaurant and extensive club house bar at times serving in excess of 1000 items a day from the kitchen. The venue is also available for private bookings and makes a great venue for weddings, parties and Christmas functions. Cherry Picked Catering were asked to cater for 8000 people in a private camp site in Glastonbury for Glastonbury festival. Cherry Picked Catering were the only caterers allowed on the site and catered for all the campers’ breakfast and late night meals. Cherry Picked Catering operated a 24hr service.